Data analysis for metabolomics and small molecule mass spectrometry. Untargeted metabolomics is a powerful tool for biological discoveries. However, these discoveries are highly dependent on the quality of analysis of the raw data. 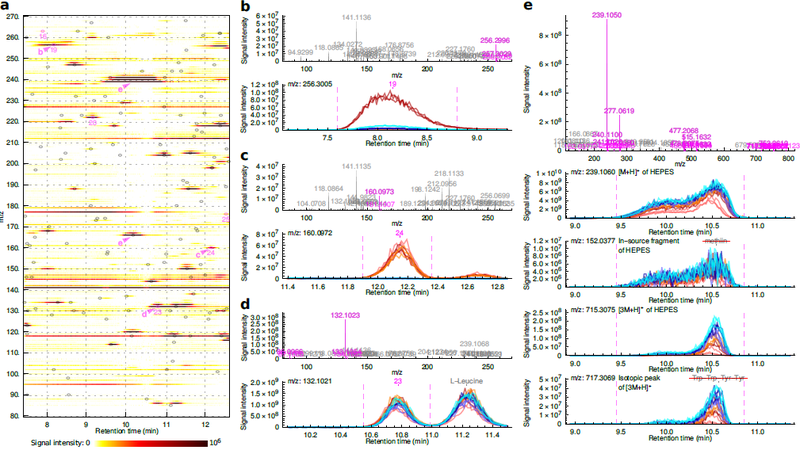 Reliable detection of relevant signals in the raw data and the correct interpretation of the underlying spectral features are critical for both exploratory research as well as multi-omic data integration. Reanalysis of published untargeted metabolomics studies shows omissions of numerous relevant compounds in original results as well as typical interpretation mistakes. These results show an unexplored potential of current as well as legacy metabolomics data. We can analyze your raw data and deliver lists of peaks with peak areas as well as lists of corresponding compounds with putative identities, where possible. We use our own computational tools, but the key aspect of the service is manual curation of the results by experts. We can help you to correct your existing results, find key differences among samples, or perform an exhaustive data analysis. Avoid omissions and mistakes in your results. Contact us to learn more about the possibilities and benefits of working with us. Use high quality expert curated results for your downstream analysis! 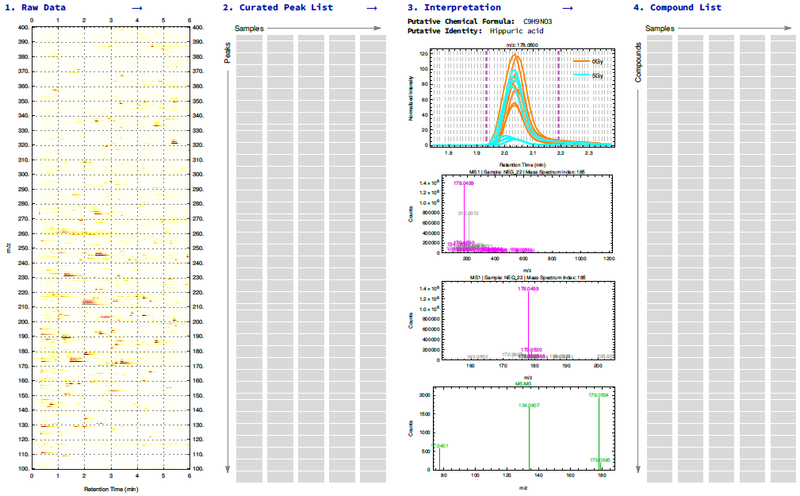 MassCurator is the right tool for rigorous data analysis of your untargeted metabolomics data. MassCurator provides robust automated tools as well as a responsive interactive interface for data analysis. Use MassCurator to correct your existing results or to analyze your raw data from scratch. MassCurator will become available soon. Sign up for a free trial and we will get in touch with you when MassCurator is released.